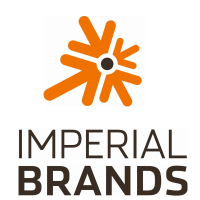 Shares of Imperial Brands PLC with company EPIC: LON:IMB has dropped -2.21% or -58 points throughout the session so far. Market sellers were not positive throughout the trading session. The period high has peaked at 2618.5 dipping to 2556. The total volume of shares traded by this point was 517,952 with the daily average number around 2,177,961. The 52 week high for the shares is 3009 some 381 points difference from the previous days close and putting the 52 week low at 2239.5 a difference of some 388.5 points. Imperial Brands PLC now has a 20 SMA at 2634.38 and now a 50 day SMA of 2597.61. The market capitalisation is now £24,564.22m at the time of this report. The currency for this stock is Great British pence.Market cap is measured in GBP. This article was written with the last trade for Imperial Brands PLC being recorded at Wednesday, April 3, 2019 at 12:02:18 PM GMT with the stock price trading at 2570 GBX. Shares of GlaxoSmithKline plc ticker lookup code: LON:GSK has slid -1.81% or -29 points during today’s session so far. Sellers were not positive throughout the session. The high for the period has peaked at 1594.2 meanwhile the session low reached 1571.4. The volume total for shares traded up to this point was 2,346,809 with the daily average at 8,731,625. The 52 week high for the share price is 1648.8 which is 47.8 points difference from the previous close and the 52 week low at 1274.33 is a variance of 326.67 points. GlaxoSmithKline plc now has a 20 moving average of 1549.94 and now the 50 day moving average now at 1537.49. Market capitalisation is now £78,405.75m at the time of this report. The currency for this stock is Great British pence.Market cap is measured in GBP. This article was written with the last trade for GlaxoSmithKline plc being recorded at Wednesday, April 3, 2019 at 12:02:27 PM GMT with the stock price trading at 1572 GBX. The stock price for Reckitt Benckiser Group Plc with EPIC code: LON:RB has declined -1.62% or -104 points throughout the session so far. Traders have so far given a mostly negative outlook during the trading session. Range high for the period so far is 6439 and a low of 6290. Volume total for shares traded at this point reached 252,154 whilst the daily average number of shares exchanged is just 1,624,719. The 52 week high is 7174 around 766 points different to the previous business close and a 52 week low sitting at 5255 a difference of some 1153 points. Reckitt Benckiser Group Plc now has a 20 SMA at 6345 and a 50 day MA at 6117.28. The market cap now stands at £44,747.11m at the time of this report. All share prices mentioned for this stock are traded in GBX. Mcap is measured in GBP. This article was written with the last trade for Reckitt Benckiser Group Plc being recorded at Wednesday, April 3, 2019 at 12:02:28 PM GMT with the stock price trading at 6304 GBX. Shares of Rolls-Royce Holding PLC company symbol: LON:RR has declined -1.39% or -12.6 points in today’s trading session so far. Investors were not positive during the session. The period high has peaked at 909.8 meanwhile the session low reached 892. The number of shares traded by this point in time totalled 1,529,856 with the daily average at 5,419,322. The 52 week high is 1104.5 which comes in at 197.5 points difference from the previous days close and putting the 52 week low at 9.88 a difference of some 897.12 points. Rolls-Royce Holding PLC now has a 20 moving average of 909.3 and the 50 day moving average now of 924.43. The market cap now stands at £17,037.74m at the time of this report. The currency for this stock is Great British pence.Market cap is measured in GBP. This article was written with the last trade for Rolls-Royce Holding PLC being recorded at Wednesday, April 3, 2019 at 12:02:27 PM GMT with the stock price trading at 894.4 GBX. Shares in Unilever plc with company EPIC: LON:ULVR has dropped -1.48% or -65 points throughout the session so far. Sellers aired on the negative side during the session. The periods high has already touched 4385.5 dipping to 4322.5. The volume total for shares traded up to this point was 578,034 with the daily average number around 2,586,397. The 52 week high for the shares is 4503.66 amounting to 110.66 points in difference on the previous days close and a 52 week low being 3830 which is a difference of 563 points. Unilever plc now has a 20 moving average of 4292.28 and a 50 day SMA of 4206.38. The market capitalisation currently stands at £124,837.25m at the time of this report. The share price is in GBX. Mcap is measured in GBP. 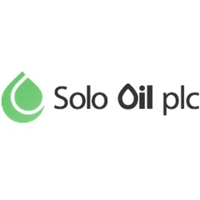 This article was written with the last trade for Unilever plc being recorded at Wednesday, April 3, 2019 at 12:02:24 PM GMT with the stock price trading at 4328 GBX. Click GSK IMB RB RR ULVR for the full archive.